Book before February 29th to take advantage of this special offer from Adventures By Disney. You can receive an extra night for FREE when you book and Adventures By Disney Vacation to departures of the Once Upon a Fairytale (Germany), Viva Italia (Italy) or Bella Italia (Central Italy) itineraries. 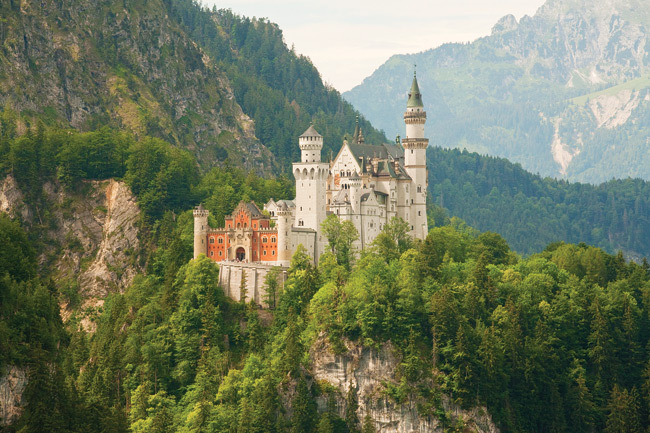 These breathtaking itineraries offer you the opportunity to discover the storybook romance of southern Germany, explore the ancient cultures of Rome and Venice and experience the Renaissance of Florence. *Offer applies to the purchase of select departures of select Adventures by Disney itineraries at the non-discounted Regular Rate made between 1/10/12 and 2/29/12. Complimentary additional night may occur before or after the booked departure depending on the itinerary booked. Additional night available on the following itineraries and departure dates ONLY: Viva Italia: 5/20/12; 5/28/12; 6/3/12; 6/18/12; 7/9/12; 7/29/12; 8/2/12; 8/9/12; 8/16/12; 9/2/12; 12/22/12; Bella Italia: 5/20/12; 5/28/12; 6/3/12; 6/18/12; 7/9/12; 7/29/12; 8/2/12; 8/9/12; 8/16/12; 9/2/12; 12/22/12 and Once Upon a Fairytale: 7/23/12; 8/3/12; 9/17/12. The number of additional nights allocated for this offer is limited. Regular Rates vary depending on departure date and time of booking and are subject to change. Lead guest of the booking party must travel on the land package booked. Limit one additional night per booking party. Additional night must be booked at the same time the land package is booked. Valid on new bookings only. If you are ready for the Vacation of a lifetime with Adventures By Disney contact Only WDWorld Travel to book or get more information.